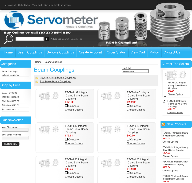 Servometer® employs a unique, patented electrodeposition process to manufacture its bellows, couplings, contacts and assemblies. This process allows careful control of the bellows wall thickness. Because the bellows walls can be made thinner than the other types (down to 0.0003 inch), they are extremely sensitive and well suited for precision instrument applications. Servometer electroformed metal bellows are extremely flexible and repeatable, lightweight, seamless and non-porous, and leak tight to 1 x 10-9 std/sec, and can provide large deflections with only very minute forces  as small as 4 grams. Many of todays sophisticated applications require miniature bellows. 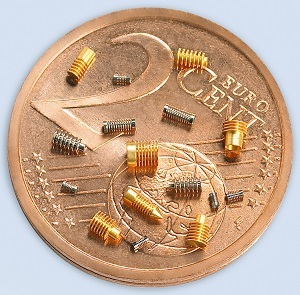 Servometer miniature bellows can be made as small as 0.020 inch in diameter, smaller than any other type of bellows, yet still retain full sensitivity and flexibility. Our agile manufacturing process produces bellows with minimal tooling, allowing even low quantities at reasonable prices. Other companies have tried to replicate Servometers chemistry, but remain unsuccessful in creating an accurate, repeatable bellows with high cycle life and leak-tight construction. Electrodeposited nickel bellows offer superb performance in applications such as hermetic sealing of switches, pneumatic actuators, bourdon tube replacement, aneroids, altimeters, mechanical seals, pumps, and more. Servometers experienced engineering and manufacturing staff can design and assemble finished components to simplify installation and increase performance.